Reliable service regardless of the various make or models. We are based in a City of Bhavnagar Near Alang (Alang ship breaking yard located on the western coast of Gulf of Cambay, in the western part of India, is the largest ship-recycling yard in the world.) of the Gujarat state of India. We supply Refurbished / Used diesel generators ranging from 15 KVA to 1250 KVA of all makes With technological advancement. We also manufacture and supply Acoustic Enclosures, Residential Silencers, AMF Panels, Control Panels & Synchronizing panels of diesel generators. 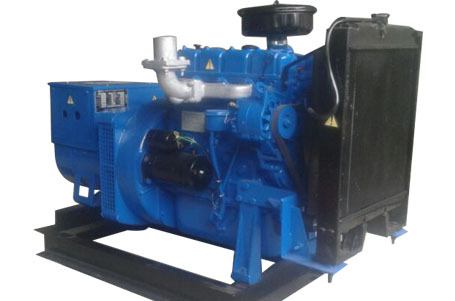 Blue Power Systems is ranked among responsive and responsible Suppliers of a comprehensive range of Industrial Supplies inclusive of Marine Diesel Generator, Refurbished Diesel Generator and Diesel Generator Alternator. In addition, we are engaged in manufacturing high permanence Silent DG Set Canopy. Our company is engaged in domestic trading of these precision-engineered products for many years. Industry experience of 15 years, Blue Power Systmes are instrumental in trading, supplying and exporting Diesel Generator. Apart form this, we also render services for assembling designing,installation and maintenance of diesel generators, diesel engines and alternators. 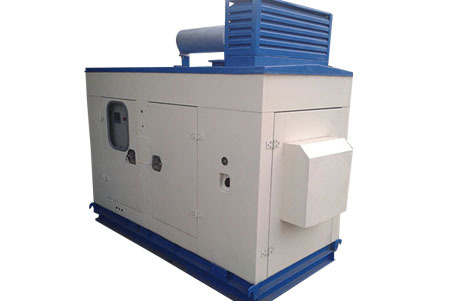 The diesel generator we offered are ranging from 15 KVA to 1250 KVA branded company and geniune parts, Silent Diesel Generator Set and Silent DG Set. Generators offered by us are known for features like, small size, low weight, easy to operate, easy to install and easy to maintain. Every Used or Reconditioned generator we follows process prior to sale as described below. The first step in ensuring refurbished generators will meet customer expectations is to select good quality equipment. Typically we only accept machines with a demonstrable maintenance history and low hours use. Using calibrated load banks we test engines at our factory to ensure each machine is load tested up to 100% capacity. This helps our engineers to diagnose any potential shortfalls with the generator and performance of the engine. After the initial load testing results, any necessary rectification work is performed to ensure reliable operation before selling. Units may also be modified and upgraded to meet specific customer requirements. The units are tested on load for a minimum of one hour and with staged loads up to 100%. During test, both the engine and alternator are monitored for speed and voltage characteristics to ensure the pre-requisite demands are met. We Provide Service, Repair and Installation on Refurbished / Used Diesel Generators, Marine Generators & Parts. Our Generators have long lasting performance and usage across the industrial and domestic verticals. Blue Power Systems @ 2015. All rights reserved.